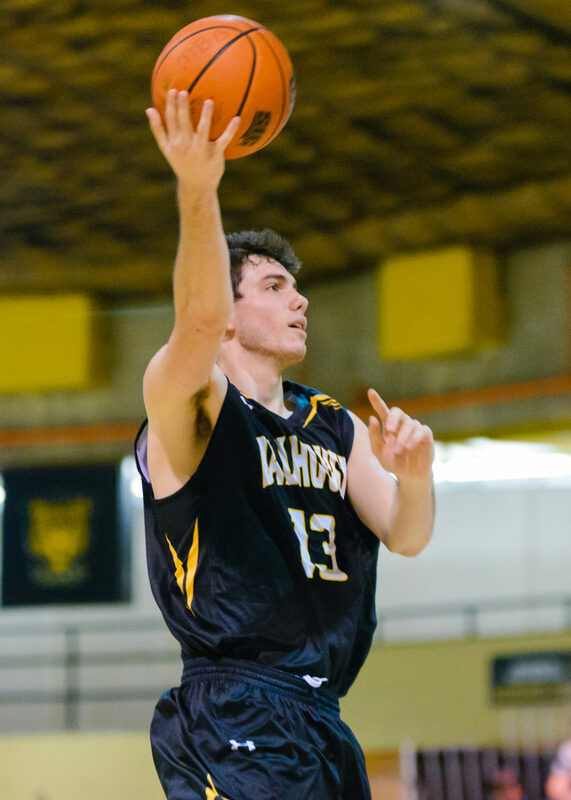 Here’s a brief overview of the upcoming Dalhousie University athletics season. Seven of the 14 teams should be contending for an AUS championship, making it an exciting year. 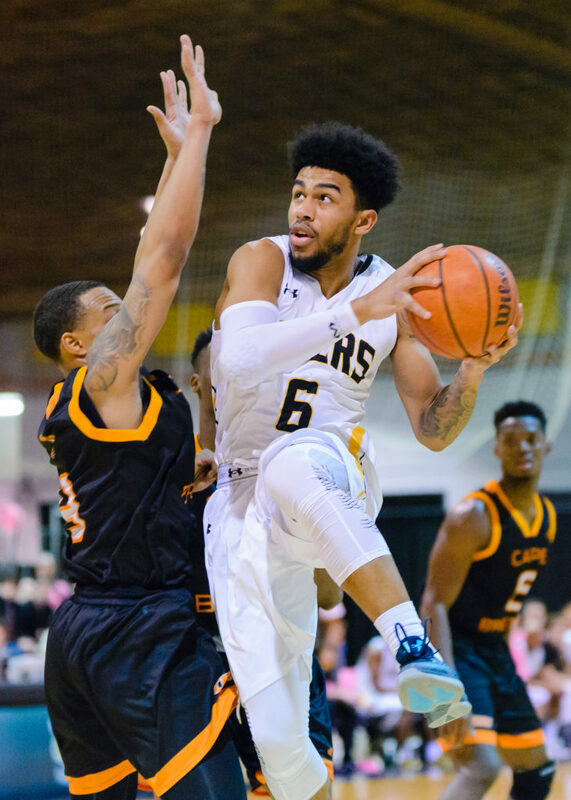 The men’s basketball team is once again hosting the national championships in Halifax and will be guaranteed a spot in the tournament. The challenge for this team is not getting to nationals – it’s proving they belong there. Alex Carson. Photo by Trevor MacMillan. There’s no doubt this team has lots of talent. They’re led by athletic guard Xavier Ochu, elite passer Jordan Aquino-Serjue, sharpshooter Alex Carson, big and talented centre Mike Shoveller from Queen’s University and many young talented guards. Xavier Ochu. Photo by Trevor MacMillan. This team’s core was set up last season but they had a shaky game against Saint Francis Xavier University in their AUS semi-final game last year. They’ll need to prove they can win in the playoffs. The women’s basketball team hasn’t finished higher than third-last in the past three seasons. They’ve missed the playoffs the past two years. The majority of their players are experienced. If this group is going to be successful, they need to have a good year this year. The Tigers have pieces to be a good team. Robertha Charles is good in the paint and can get buckets and rebounds from down low, Sophie Gaube is a solid shooter and Michele Tchiakoua and Ariel Provo are good guards. They need to find a way forward. The women’s cross-country team will look to repeat as AUS champions this year. They lost a lot of talent last year – only three of the seven athletes remain who competed at the AUS Championships. They will rely on Savanna Jordan and Jenna MacDonald. Jordan had an outstanding rookie season finishing first in the AUS championships and 12th at nationals. MacDonald finished 7th at the AUS championships. The Tigers are going to need four more runners to prove themselves to be quality depth athletes. The men’s cross-country team is in a similar position as the women. They won the AUS championships and finished 13th at nationals – and they’re losing their top three runners. They’ll be led by captain Angus MacIntosh, and runners James Cromack, Callum Drever and Mike Rogers. All of those runners finished between places 9th to 15th at the AUS championships. They’ll need three more runners to round out the group. Keep an eye on Trent Lynds, Hudson Grimshaw-Surette and Colin Long to provide the depth that Dal needs. The women’s hockey team received a significant youth injection last season and it paid off: they finished with 24 points (which was the program’s highest point total in nine years). The strength of this year’s team will be defensive. All of last season’s defenders are eligible to return along with their starting goaltender. The offence remains a question. Last year’s top two scorers are gone and the team will have to make up for their scoring. More than likely, they’ll score by committee instead of having true offensive leaders next season. The men’s hockey team made the playoffs last year for the first time in seven years. Offensively, everyone who played a role in last year’s march to the playoffs is eligible to return and they will get a boost with returns of Ryan Verbeek, and Felix Page. Defensively, they have two significant losses in Luke Madill and Myles McGurty but the returning players and recruits should be able to get the job done. Losing superstar goaltender Corbin Boes is another big blow. He stole probably four of Dal’s nine wins last year. They recruited goaltender Connor Hicks who had a fantastic season in Junior A last year. He should bring good goaltending. The women’s soccer team had a successful season finishing third in the standings, but lost to the University of New Brunswick on penalties in their first playoff game. Most of last year’s team is eligible to return, making Dal a strong team again. Defensively Dal gave up seven goals in 12 games and that shouldn’t change this year with first-team all-stars Kate Fines (keeper) and Taylor Goodwin (defender) returning. Offensively, they did lose their leading scorer – but Haley Birrell, Jensen Hudder and Maya Venkataraman should provide the needed offence. Dal is solid in every position and should battle for second or third place. October is a scary month and last year’s Tigers got spooked. Going into October they were sitting well in the standings. Then they lost five straight games in October and fell out of the playoffs. They lost six players from that team including their starting keeper, three top defenders, their second-leading scorer and a solid midfielder. This team will look a lot different than last year. Talented midfielder Freddy Bekkers, streaky scorer Kallen Heenan and defender Michael Trim will lead them. The women’s swim team will be looking for their 18th straight AUS championship this year with nearly the same group of swimmers. Returning to the team is last season’s AUS Swimmer of the Year Lise Cinq-Mars, rookie sensation Isabel Sarty and nationals qualifying swimmers Claire Yurkovich, Meg MacKay and Alexis Bragman. Last year’s team won the AUS championship by 441 points and finished ninth nationally, with many similar faces returning, they will be a force in the AUS this year as well. The men’s swim team also have an incredible record of 20 straight AUS championships and will be looking to continue that streak. They will lose their best swimmer, Gavin Dyke. Returning is Alec Karlsen who broke the AUS 400-metre individual medley record last year, Tyler Immel-Herron who won 5 gold medals at the AUS championships and other national qualifying swimmers like Morrgan Payne, Quinn West and Mackenzie Holden. They managed to win the AUS and finish 12th nationally while dealing with injury issues. If they are healthy next season, they will contend for an AUS championship. The men’s track and field team had a great season last year: they won their 25th AUS title in 28 years and finished ninth nationally. They should be an excellent sprinting team. They bring back Matthew Coolen who won gold at nationals in the 60-metre dash and Mike Van Der Poel who won bronze at nationals two years ago for the 300-metre dash. They added recruit Noah James who owns the Nova Scotia record in the 400-metre. Outside of sprinting, Hudson Grimshaw-Surette is an excellent 1000-metre runner who finished seventh nationally and Audley Cummings is an all-around athlete who won AUS gold in the long jump and heptathlon. Kaelen Schmidt is Dalhousie’s national qualifying jumps specialist. The Tigers should be strong again next season. The women’s track and field team won their 31st AUS championship in 32 years last year and finished 18th nationally. Savanna Jordan had a great season finishing eighth in the 3000-metre run even though she didn’t train heavily for it due training for cross country all year. Another first year, Lorena Heubach also had a successful first season finishing fifth in the pentathlon at the McGill team challenge. Maya Reynolds will lead the team in sprinting while Brooklynn Rutherford and Temi Toba-Oluboka will lead the team in throws after strong first seasons. The women’s volleyball teams have dominated the AUS – winning the title for six straight years and only suffering one loss last year. The majority of the team’s core is back next year, which should make them a force again. They should win the AUS championships again, and then they run into their biggest challenge: nationals. The Tigers have never won a medal there and that will be their goal this season. They have a national level setter Courtney Baker, superstar outside hitter Julie Moore, and a talented team around them to winning a medal at nationals a realistic goal. The men’s volleyball team lost their two best players in Matthew Donovan and Adam Spragg last season. Dal has a lot of young and talented outside hitters, so they should be able to make up for Donovan’s loss, Spragg was by far Dal’s best setter and Malachy Shannon will have big shoes to fill. I don’t see Dal as being better than they were last year but I think they will finish with a similar record.